Potty training is something that should happen naturally, it’s an easy transition from wearing diapers to being self-sufficient and able to use the toilet. It’s not about power, convincing or tantrums. It is about your child and body needs that have to be met. So you must be cautious and deal with this process gradually, letting the child know that you are there by his or her side, all the time. And they have nothing to fear. This way you will make it easy for them to learn and master the potty. There is no reason to be tense or dramatic, when it comes to potty training. No need to burden a child with worries and annoyance. Remember, it’s a natural process. You’ve been there, we’ve all been there. So try to make it fun! Read books about potty training to the child, buy potty training dolls and play role games or use your child’s toy, in a potty game, so they can learn easily what it is that will change in their life. And yours. So take your child with you to the bathroom. Explain, make it interesting for them to show curiosity and ease. Encourage and don’t ever be ashamed to talk freely. It’s in their best interest and yours to speak honestly and from the heart. If you don’t have time to do this yourself, ask a relative or an older sibling to use the bathroom in front of your toddler, like a role model. Especially for boys. And it also helps if you put a bull-eye inside the toilet, to help them hit the aim. Have a potty in each bathroom so that your kid or kids can practice whenever they want and also, they can keep you company too. Learning more about using the bathroom. Don’t hurry the process or force your child to sit on the potty if you see that they aren’t ready. Be patient! It’s a change that takes place gradually. Encourage them to sit fully clothes on the potty, for muscle memory. 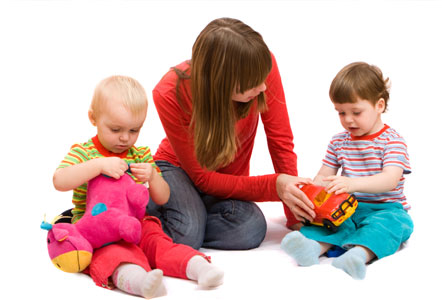 Bring their favorite toys there, so they can play while sitting or sing songs, tell stories. Make it into a positive activity. Let them know that peeing and pooping is done in the potty. You can of course, demonstrate that by dumping the contents of their diaper into the potty when you change your child. Let them know that whenever they are ready, the potty will be there for them to poop or pee. And don’t be in a hurry to dispose of what they did. Talk about it, cheer and let them help you empty the potty into the toilet and let them flush. It will make them feel more confident. Celebrate and cheer! Let them know you are proud and be sure to talk about it again. Don’t make it too important, so that your child won’t get anxious and don’t pressure the toddler into repeating the use of potty. This should be the kid’s choice! Remember, give them control, because it’s their needs and their body. Don’t pressure them. Many mistakes parents do, is changing from diapers to underwear too soon for their child. Remember that they are children, they are still prone to some accidents and it will make the process harder. Frustrating for you, and terrifying for the child. It can cause them inhibitions and problems later in life. So pay attention to them as they grow from diapers to undergarments. To make it an easier process, try to make a schedule of when they use the potty. First thing in the morning, after a snack or after lunch, even before you leave the house. Make sure you do the same also, otherwise it might seem unfair to the child and might feel singled out. This way, even his own body will get used to those regular times and will slowly take responsibility. Make the child be aware of recognizing the signals of their body and when it’s time to go to the bathroom. If they get agitated or they squat, remind them. Even if sometimes accidents happen, and they don’t make it in time, it’s progress in the right direction. Be there for them! Maybe they also hate the mess of being wet or dirty, or maybe they also want to be like you, or the other children. Let them know it’s a process that they will master one way or another and that it takes some getting used to. Don’t punish them or get angry at them. It might erode your relationship, make them fearful or ashamed. Punishing them might result in even more accidents. So do it responsibly!